The French Institute Alliance Française (FIAF) brought a little joie de vivre to a sweltering hot NYC on Monday night. The organization honored one of fashion’s favorite Frenchwomen, Carine Roitfeld, with the fourth annual Art de Vivre Award. Roitfeld, onetime editor of French Vogue and currently the global fashion director of Harper’s Bazaar, plus the founder of CR Fashion Book, was presented her award by model and Estée Lauder ambassador Carolyn Murphy, alongside FIAF president Marie-Monique Steckel and FIAF EVP and artistic director Lili Chopra. Each year, the organization chooses someone from the food, wine, or fashion industries in promotion of the French art of living. 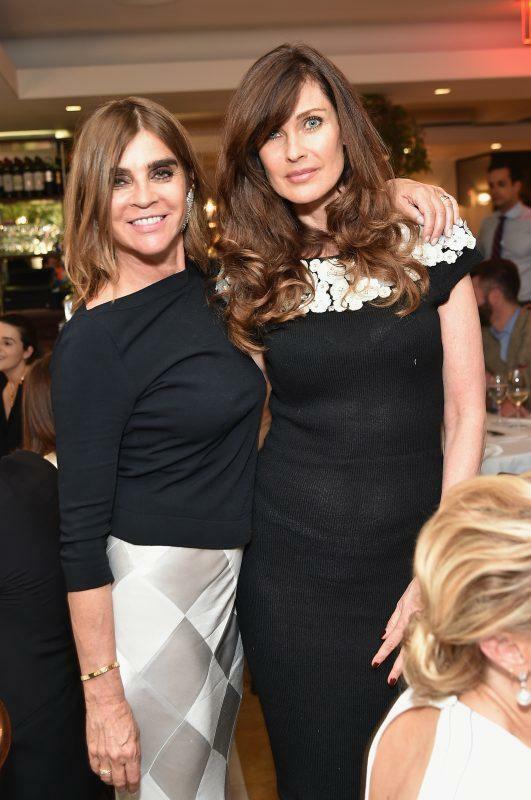 The list of those who came out to watch Roitfeld receive her honor runs long: Carol Alt, Ivan Bart, Frédéric Fekkai and Shirin von Wulffen, Lacoste CEO Joelle Grunberg, The New York Post’s Richard Johnson, Christie’s Rahul Kadakia, Aerin Lauder, Stephanie Newhouse, Vladimir Restoin Roitfeld, Julia Restoin Roitfeld, Lauren Santo Domingo, Charlotte Sarkozy, David G. Tisch, Alexandra Vidal, Whitney Wolfe, and more. After enjoying cocktails at FIAF’s Le Skyroom, all carried on to dinner at Le Bilboquet. A chic fête, indeed!